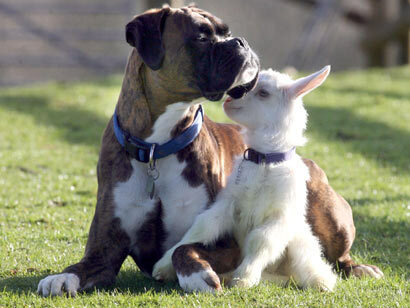 A boxer dog called Billy has become an unlikely surrogate father to a kid goat at an animal centre in Devon. Big hearted Billy formed a strong bond with abandoned kid Lily at Pennywell Farm, near Buckfastleigh, where they have become a popular attraction. As the runt of triplets, Lily was abandoned by her mother because nanny goats can usually only care for two kids at a time.